Click on the "Edit Page" icon at the upper right (resembles pencil). Under "Insert, select "HTML Box". 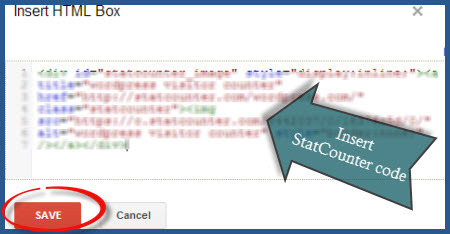 Insert your StatCounter code in the HTML Box and select "Save". 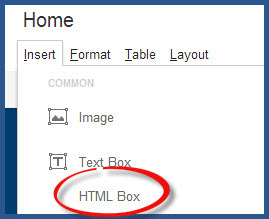 When you press "Save" you will see an element labeled "HTML Box" on your page. You can now drag and drop this box where you'd like on your site. For example, in your sidebar, or towards the bottom of your page. Once you have your HMTL Box where you'd like it, select "Save" from the upper right corner. If you have selected a visible counter or StatCounter button you wil now see your StatCounter element on your page. StatCounter is now active on your Google Sites page and will immediately begin recording visitor information.